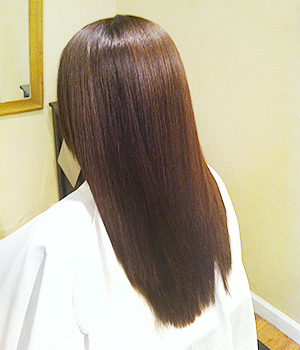 by stylist Takako Kikuchi * Non-Toxic, Formaldehyde Free* Achieve the elegant, straight hair you've always dreamt of! The Non-Toxic, Non-Formaldehyde alternative to Brazilian Keratin Process. The Japanese Hair Straightening System, also known as Thermal Reconditioning, is a revolutionary system developed in Japan in the mid '90s. It made its way to the United States in 2000 where it has grown in popularity as the number one system for permanent hair straightening. This unique and involved system uses heat to restructure the hair's protein bond and actually improves hair condition by strengthening hair from within while the cuticle layers on the surface are smoothed out with an iron. The result is soft, silky, straight, regenerated hair without frizz and curl. All hair types are suitable for Japanese Hair Straightening: tight curls, loose curls, wavy hair, damaged hair, bleached hair, colored hair and even highlighted hair. 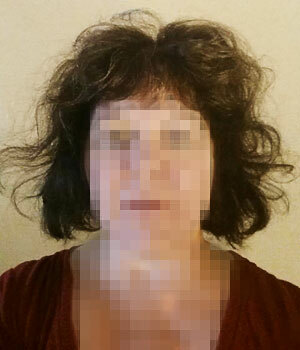 But it also depends on the condition of the hair, and Takako will help assess if the process is right for you. 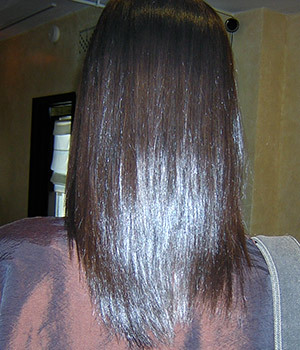 The Brazilian Keratin Straightening Treatment does not restructure bonds. Instead it uses Keratin, a protein that's naturally in your hair, to coat and recondition. 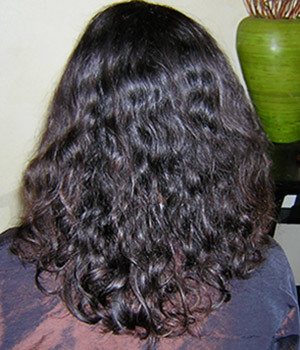 As a result, it is NOT permanent and typically fades after 4-6 weeks. Although Japanese Hair Straightening is permanent, new hair grows in with its natural texture so retouches are necessary. On average, expect touchups every 6 months to a year, depending on the individual's maintenance and rate of hair growth. Numerous products can be used during this process, but as Takako will attest, it's the deft hand of the stylist that makes the technique effective. 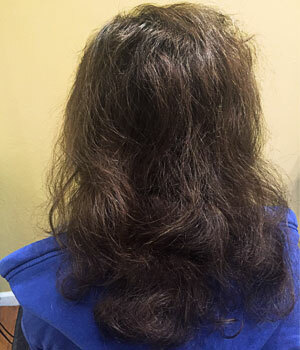 "A toxicology lab in Oregon uncovered a high-end salon treatment labeled "Brazilian Blowout" that contains 10 percent formaldehyde, raising serious safety questions about extremely high levels of the potent carcinogen. 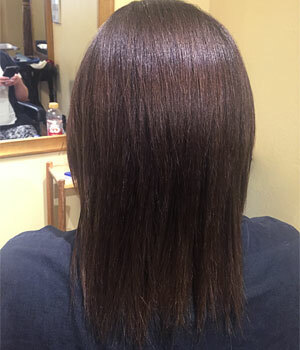 The solution is used in dozens of salons nationwide that advertise the popular hair-straightening treatment." 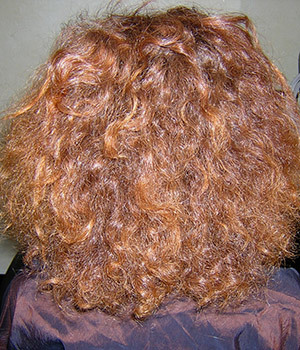 Your hair analysis will start with a discussion about any prior chemical treatments, perms or color you have had. Takako will then analyze your hair for any dryness or damage that may impact the process and will determine if the procedure is suitable for your hair type. Your hair will be gently washed and treated with pre-conditioning products in order to make the condition of the hair evenly balanced to ensure that your hair is prepared to accept the process. The hair is separated into sections and the solution is applied to your hair avoiding the scalp. This step softens the hair and breaks down the protein bonds which will help your hair to become perfectly straight. Once the solution is applied, plastic wrap is placed over the hair. The solution process will take from 10-60 minutes depending on your hair type and condition. A strand test will be done to determine if the process is complete. After the solution has completed the process, the solution will be gently rinsed out with warm water. 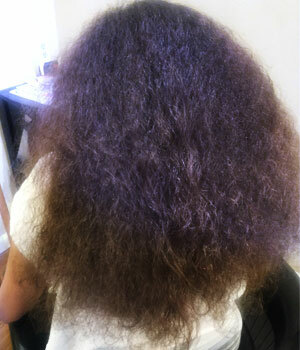 After the rinse, the hair will be blow dried to a 10-15% moisture level in preparation for the ironing phase. 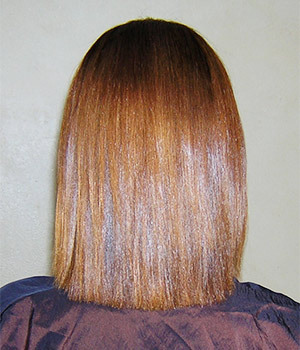 In this phase, the ironing restructures the bonds of the hair resulting in straight smooth hair. The most precise part of the procedure is separating hair into very small sections of hair and ironing with a special Ceramic Japanese Thermal Iron to ensure all strands of your hair are restructured in the ironing process. This its the most time consuming part of the process. Once the hair has been straightened by the ironing process, next comes sectioning and applying the neutralizer to balance the pH of your hair and seal in the straight bond. The neutralizer will stay on your hair for 10-15 minutes depending on the cuticle resistance of your hair. The neutralizer is then rinsed out and a conditioner appropriate for your hair is applied. Next your hair is blow dried in the direction of the cuticle to preserve the shape and shine of the hair. And finally, the flat iron is run over the hair so that your hair is completely straight. How do I choose the right stylist for me? It's very important to consult with a stylist before service. Experienced stylists can tell you what kind of results to expect based on the condition of your hair. Can color-treated hair survive the straightening process? 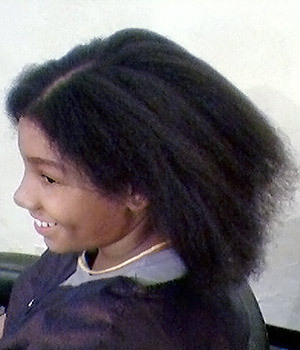 Yes, as long as your hair is in good condition and you provide proper care before and after straightening. 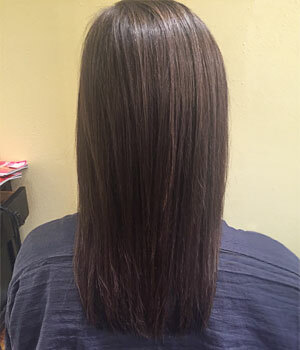 Is Japanese Hair Straightening permanent or will I need touch ups? Yes, the process is permanent, but new hair grows in with its natural texture, making touch ups necessary. In general, every 6 months to a year, depending on hair type, rate of hair growth and individual maintenance. Do I need to use certain products to maintain my hair after straightening? Maintenance is very important in order to keep your hair in good condition until your next touch up. A variety of home care products will be recommended for you to choose from that will keep your hair healthy. I have done other hair straightening systems before. Can I get touch ups with different products? Yes, as long as your hair is not damaged, it's safe to have touch ups with different systems. Touch ups should only need to be done on newly grown hair as long as previously treated hair is still straight. Do the different types of products and systems used for hair straightening really make a difference or are they all the same? 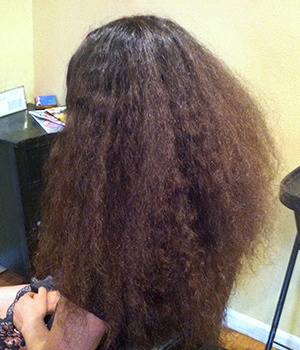 Japanese Hair Straightening, such as Yuko, Liscio and Hallows are permanent. Also known as Thermal Reconditioning, it combines chemical and thermal heat processes to restructure the hair's protein bond from the inside out. The actual straightening process is basically the same but different chemicals may be used for each of the respective systems. Takako will help determine what is best for you. 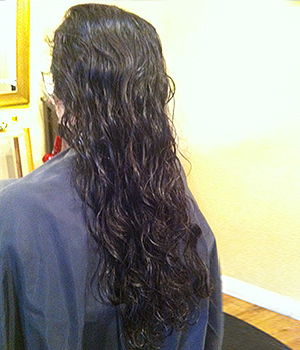 "After a haircut and styling, I could never seem to maintain the sleek and smooth results I got in the salon. I am a busy working mom and I don't have time to blow-out my hair the way stylists do. I recently decided to consult with Takako about Japanese hair straightening. My hair isn't curly, but it is wavy and frizzy from many years of home coloring. I was concerned that the straightening process would be too damaging to my already over-processed hair. Takako examined my hair and she determined that straightening would not harm my hair and that I was a good candidate. The results are fabulous! I love my hair! It has saved me so much time and made my routine a lot easier. 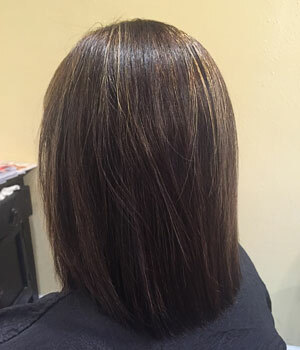 "I've been going to Takako for hair straightening for several years and I cant imagine having anyone else treat my hair! She takes great care to understand your hair type and advise you on how best to take care of it. And to top it off, she is accommodating to your schedule and makes you feel very special when you go to visit her. She takes good care of her clients." "How did I live without Japanese Hair Straightening for so long? Okay,that might be a bit dramatic but i have never liked and sometime even loved my hair before I was introduced to it! 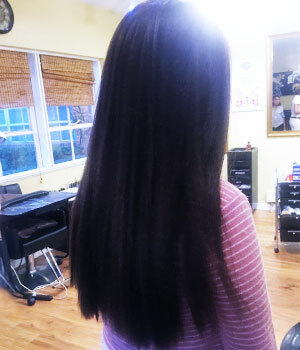 I trust Takako Kikuchi to always do a great job and I leave happy with smooth,healthy looking straight hair every time! 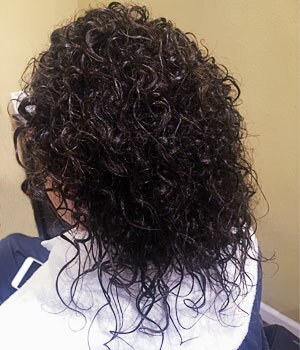 Thank you Takako and Hair Straightening..."
"As someone with extremely curly, frizzy,and unruly hair, I have relied on the Japanese Hair Straightening procedure for almost 10 years now. Takako's professional and consistent hair straightening work has kept me beyond pleased and content with her services for the last 3 years. I would not trust anyone else with my hair." Achieve the elegant, straight hair you've always dreamt of! "You deserve to look radiant and feel amazing". Takako will update your look in a professional atmosphere without the pretentious mood. Takako was born and raised in Japan. From an early age she was fascinated with beauty, so it only made sense for her to pursue her passion when she moved to Los Angeles. She has trained all over Southern California as a stylist, but it wasn't until her arrival at the Yuko Salon in Beverly Hills that she really learned to hone her craft. Takako spent four years working and training at Yuko where she has had the privilege of learning under Ms. Yamashita herself. This valuable and practical experience helped elevate her skills to such a level that she earned a spot on the Yuko Education Team and was invited to teach in New York. Aside from the Yuko System, Takako has much practical experience with Liscio and Hallows as well, and has performed as a training assistant and demonstrator in specialized classes for Hallows. Takako's experience also extends to a myriad of film and photo shoots where she served as a stylist. Recently, she decided to follow in the footsteps of a trusted mentor and forge her own path as a professional. Her experience, specialized skills, and down-to-earth and honest nature make her a pleasure to work with. 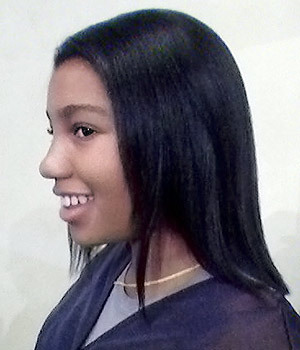 Because she's so well versed in different products and systems, she developed her own unique way to execute the hair straightening process, utilizing whatever is best for the individual's hair. 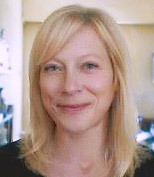 She takes the time to work closely with her clients and caters the process to fit their personal needs and desires. All this leads to Takako's main goal, which is to bring out poise and happiness through beauty. 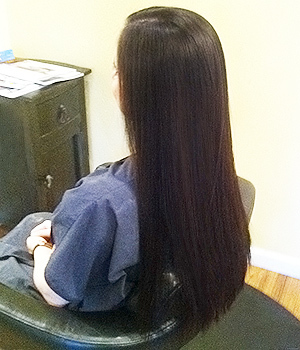 Takako offers introductory rates for first time clients and specials for returning clients.